Rambles by Fiqa :): Working life? MasyaAllah how i miss writing and rambling about life at this blog. Me, being a chipsmore, sometimes there but sometimes puff just vanish. Maybe i just expecting too much from myself. Now, alhamdulillah getting better. No doubt i miss my student life, way different than working life of course. The responsibility is different. Friends. I miss my friends so much. My uni friends! Hope the feeling is mutual :p. We do whatsapping? Izit whatsapping? Haha, yeah we do wa each other sometimes. And lately i went out with Syahirah my bff, haha with her, everything will be funny and yeah both of us cant stop laughing even about the smallest and simplest thing haha. Hope our friendship will last till jannah :) aminn. 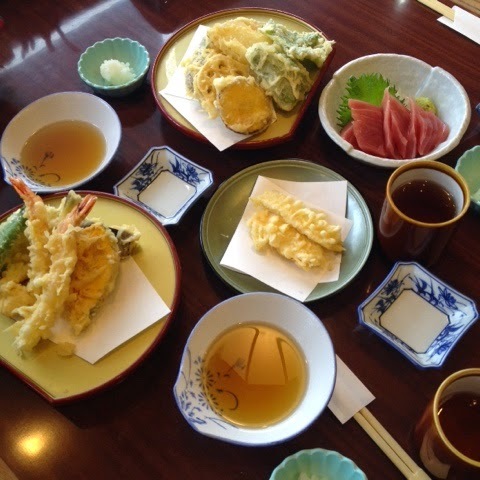 However, on the bright side, all of us enjoyed ourselves there as almost everyday we ate sushi, tempura & sashimi! Thanks to Nadirah that recommended us to eat at Sushi Zanmai, Tsukiji Market. I can still imagine the taste till now!! So amazingly delicious!! Haha and till now the three of us didnt feel like eating sushi anymore yeah had it enough for now coz almost a week we ate sushi! Looking forward for my next adventure in May 2015! Ouh my!!! May Allah ease my working life and everything that i do!! Aminnn.